Garlic can be of great assistance in controlling parasites. It has a history of being able to help eliminate parasites and control secondary fungal infections; detoxify and gently stimulate elimination. It also has antioxidant properties to protect against oxidation caused by parasites' toxins. DIRECTIONS: Shake well before use. Soak food in GarlicGuard™ before feeding. Safe for use with medicated foods (to attract the interest of finicky eaters to the medicated food). For example, for enhanced effectiveness against Ich and other parasites use Seachem’s Focus™ and MetroPlex™ as follows: Add 1 measure of MetroPlex™ to 1 measure of Focus™ per tablespoon of food. Completely soak this food mix in GarlicGuard™, refrigerate, and feed once or twice daily for 1–2 weeks. Q: What is the best use for this product? Should I dose it directly to the tank? 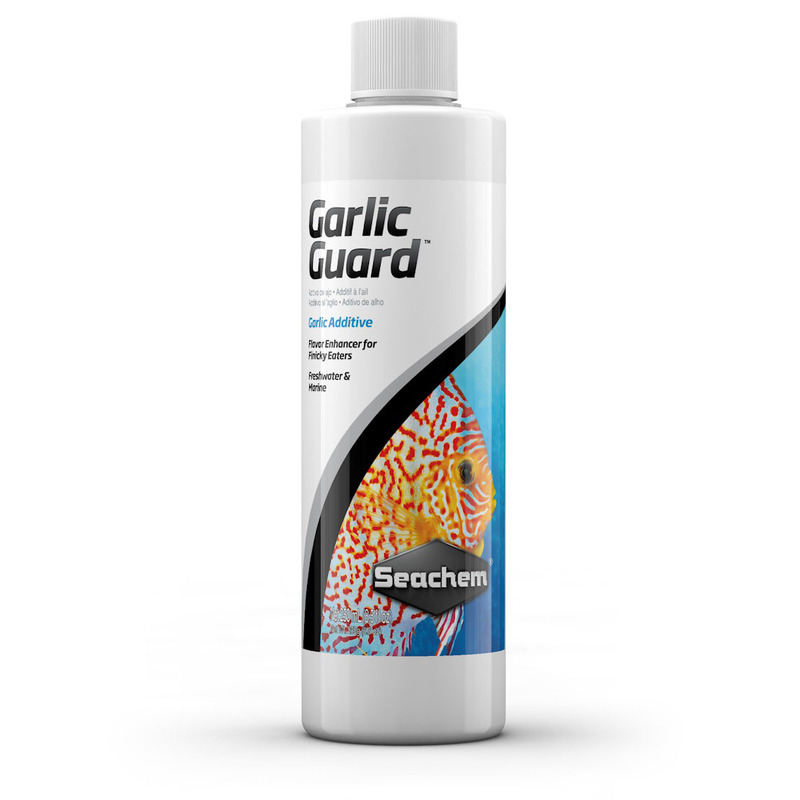 A: GarlicGuard is used best in a food soak so that the fish can directly get the benefits of the product. Q: Does this product expire or need to be refrigerated? A: No, GarlicGuard does not expire and does not need to be refrigerated. Can't find what you're looking for? Ask us a new question.